Your changing bag is one of the single most important purchases you will make before the arrival of your new baby, and with so much choice out there it can be a little over-whelming. Your changing bag will be your new best friend and will go with you everywhere, so you want it to meet all of your needs, from the look and style to the size and practicality. With so many different types of bags to choose from, from tote bags to messenger bags, and leather bags to wipe clean PVC bags, we have picked out our choice of the best ones on the market. 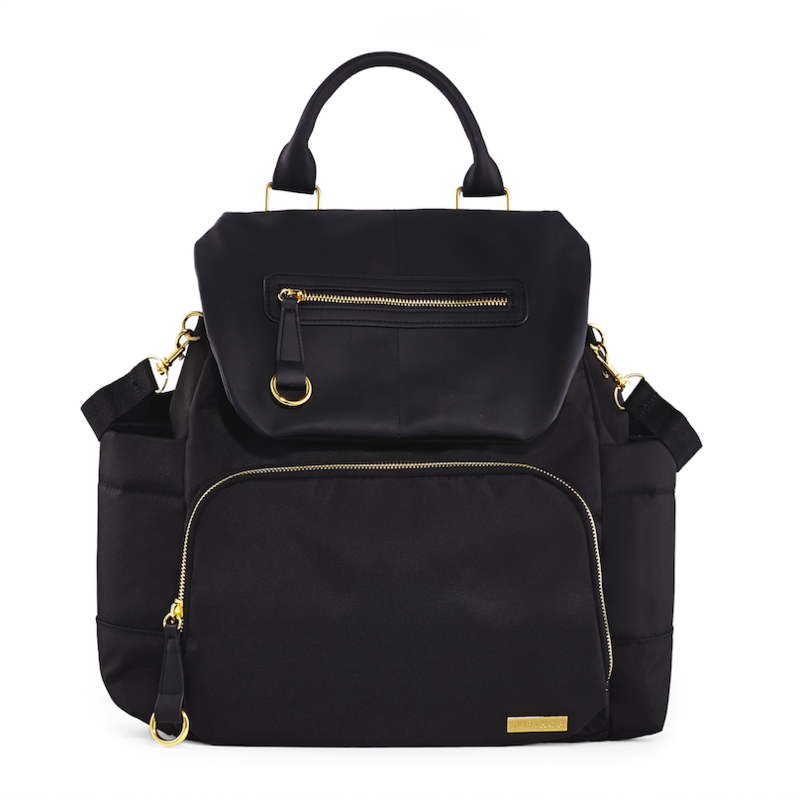 From the moment we laid eyes on this Nova Harley changing bag it was love at first sight. The Verona is super stylish and oh so practical. Like all Nova Harley bags, it is aesthetically beautiful, nobody would ever know it was a changing bag, meaning it will last well beyond your changing bag needs. On the outside of the bag there is one zip pocket which is perfect for keeping your phone or purse. Inside the bag is where the Verona really comes into its own, it is so perfectly organised, with individual pockets and pouches for all your baby bits, bottle, dummy, food, nappies, wipes, spare clothing, there is even a pocket for dirty clothes, each pocket has a cute little icon on it so you can easily find what you are looking for. The best thing about this bag is that the entire interior compartment with all the pockets and pouches can be removed from the bag, so when you no longer have any need for a changing bag or if you are going on a night out without the baby your Verona can be simply transformed into a normal bag, which still has plenty of zips and pockets for all your things. The Verona also comes with a detachable leather shoulder strap, stroller straps, and insulated bottle tote, changing mat and a wet bag. 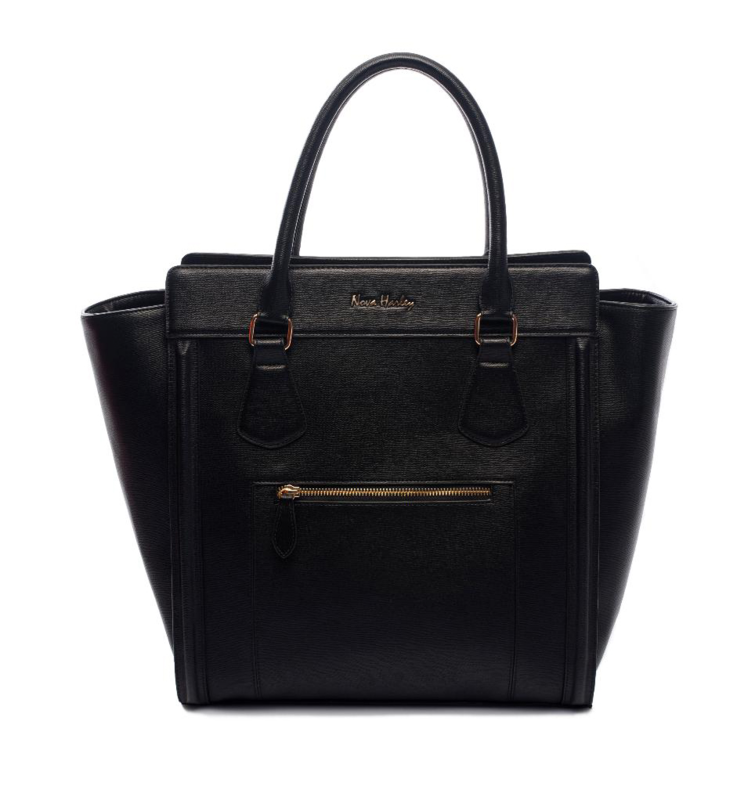 We can not recommend this bag highly enough, it is stylish, sophisticated and will last you a life time. The Cardinal is Lin & Leo's latest addition and we think it's fabulous. Designed as a smaller bag for when you are popping out for a quick coffee or catch up with friends and need the baby changing essentials in a small lightweight bag, but don't need or want to carry all the additional paraphernalia. The Cardinal comes in 3 stylish colours, black, grey and magenta. It features 4 internal pockets, 2 large and 2 small with enough space for nappies, baby wipes, nappy bags, and a spare onesie, plus your purse, phone and keys. It also includes a good sized removable padded changing mat and the lining can be wiped clean. There is a detachable adjustable shoulder strap which can be worn over the shoulder or across the body, and the bag has D rings if you wish to attach it to a buggy. This is the perfect bag to have hanging in your hallway ready for when you need to pop out for a few hours. We are completely in love with this buttery soft leather slouch tote from OiOi, it is one of the most stylish changing bags we have come across and you will be the envy of all the mums in the playground with this beauty. You will have trouble convincing them it is a baby bag it looks so good. Made from soft lamb distressed leather with lots of storage pockets, this is a bag you will want to keep forever. The natural smooth leather is a refined, supple leather which possesses a subtle grain. This tanned leather has been lightly drummed; a process that allows the leather’s natural markings and variations in colour to emerge through. This bag ages beautifully and acquires a vintage look. The bag has one main internal compartment with elasticised pockets and an outer zip pocket for items you want to keep to hand. The bag has the signature OiOi jacquard lining and comes with matching changing pad and insulated bottle holder, plus a zip top wet purse and OiOi wipes case. It also has a key fob holder for your keys or pacifier. It has a detachable leather adjustable shoulder strap so can be worn over the shoulder or attached to a buggy with the detachable leather stroller straps, which are included. It also has small protective metal feet on the base. We can not rave highly enough about this bag, it is truly beautiful and a real investment that will last well beyond your changing bag needs. For a truly luxurious changing bag that will make you the envy of all other mums, look no further than the gorgeous new Ivy from KeriKit. This stunning changing bag has a vintage style with a modern twist. 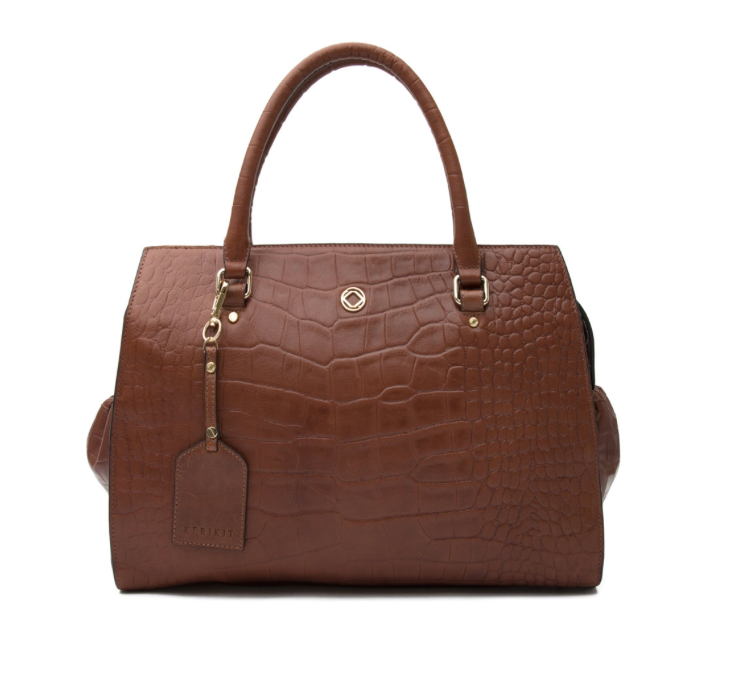 Made with crocodile embossed full grain leather with light gold fittings. The stylish, minimalistic, compact exterior conceals all the standard KeriKit features inside. Ivy has all the functionality you can expect with KeriKit such as as the internal and external pockets and multiple bottle holders. On the outside of the bag there is a large zip pocket on the back of the bag which will easily fit a tablet, mobile phone and any other essentials you need to hand. It also features a small waterproof lined pocket at the base of the bag for dirty nappies or an umbrella, we thought this was a wonderful feature. On the sides of the bag there are two pockets for bottles. The inside of the bag features a number of pockets small and large for storing all your baby essentials such as nappies, wipes, snacks and dummy plus a zip pocket and large pouch. In the middle of the bag there is plenty of space for larger items such as clothes and toys. The Ivy also comes with a changing mat and integrated wipe-clean zip bag that can double up as a laptop sleeve making her perfect for baby, business or every day use. Ivy can be carried with the handles, detachable shoulder strap or attached to a buggy with the integrated D rings. As with all KeriKit changing bags there are only 50 made of each style so they are true limited editions. If you are looking for a unique bag that will last a lifetime then Ivy is the bag for you. We absolutely love this award-winning changing bag from Isoki. 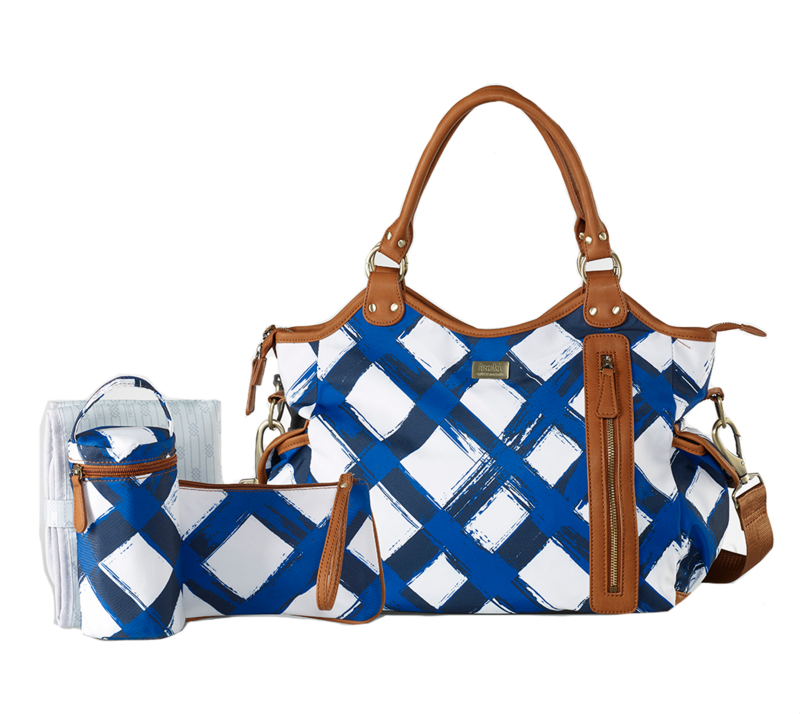 The Angel Hobo comes in lots of different patterns but our favourite is this stylish blue and white Noosa design with tan leather look detail. The first thing we noticed about the Hobo Angel is that it is super lightweight, which is fantastic as once you add all you baby essentials to any changing bag they usually seem to weigh a ton. The Angel Hobo features multiple storage pockets inside and out, there is a large pocket on the back of the bag which is big enough to store a tablet and there are two pockets on either end of the bag to store your phone and purse, on the inside there are four large pockets to organise all your essentials such as nappies, wipes and snacks and one large zip compartment which would be ideal for storing dirty clothes. There is also plenty of space in the middle of the bag for spare clothing and toys. For such a light bag you can fit an awful lot in it. Our favourite feature of this bag is the vertical outside pocket which opens to a large section that can hold up to three bottles, this is an absolute godsend when you are out for the day as it saves so much precious space on the inside of the bag and makes access to the bottles as easy as possible. The Hobo Angel also comes with a matching insulated bottle holder, storage zip bag and changing mat plus an adjustable shoulder strap and stroller straps for attaching the bag to your buggy. This bag is great value for money and we really feel like the bag looks much more expensive than it actually is, the beautiful design along with the practicality makes it a fantastic buy. This changing bag isn't called BFF for nothing, it is amazing. Not only does this bag look stylish it is so practical. It has tons of pockets and organisation. On the front you will find the mummy compartment, the large zipped pocket opens up to reveal plenty of pockets and pouches for you mobile phone, keys, make-up, tablet etc. On the back there is a large pocket which is home to the soft padded memory foam changing mat which comes with the BFF, but there is also plenty of room for other large items such as a laptop. Not eh sides there are two insulated bottle pockets for keeping bottles warm or cold. The main interior of the bag opens up really wide, which is extremely useful for seeing everything inside the bag. It features 2 medium pouches, 2 medium zipped pockets, 1 large zipped pocket and 2 further bottle holders. it even has 2 clear window pockets for storing photos. There is also plenty of space in the main compartment for large items such as clothing and toys. 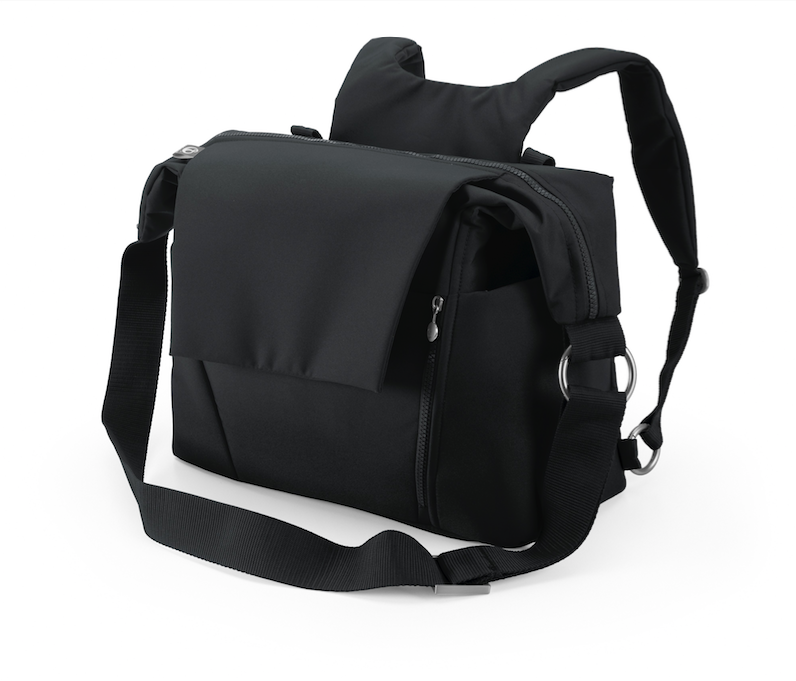 The features don't stop there, this bag can be worn as a backpack, with two padded removable straps, as a messenger or shoulder bag or attached to the buggy with the integrated D rings. This is such a practical and flexible bag and will definitely be used well after your nappy days are over. Is she flexible? 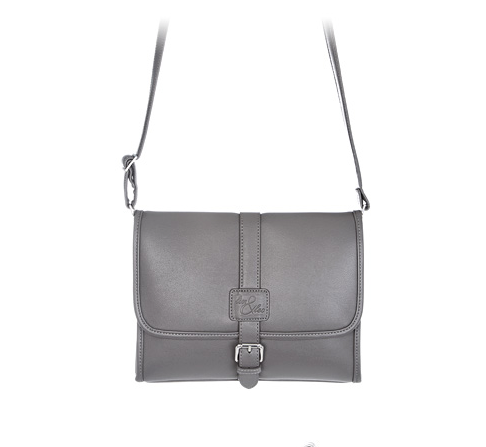 The BFF comes with detachable shoulder straps and messenger straps. 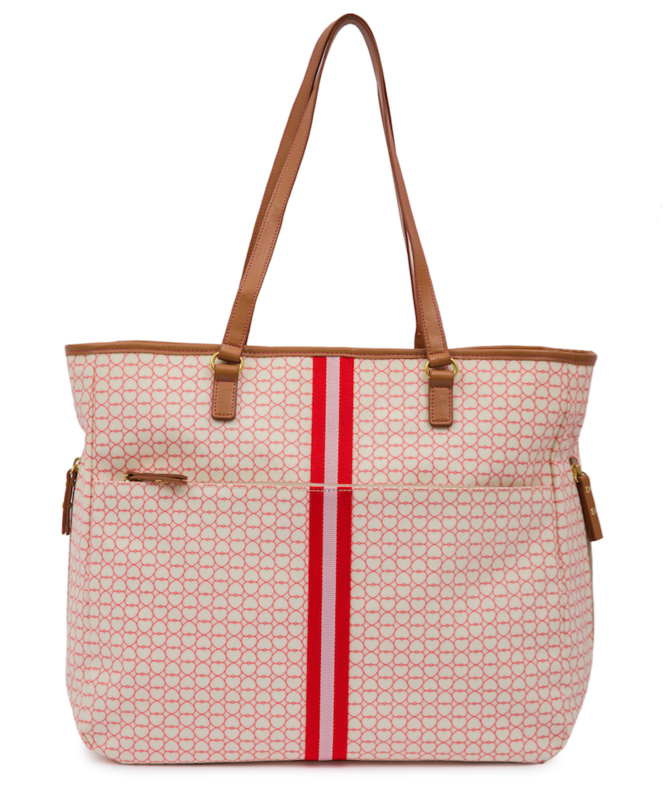 The Henrietta Tote is one of the newest designs from Pink Lining. This bucket shape bag is spacious and practical without compromising on style and is designed to see you beyond your changing bag needs. The Henrietta looks more like a designer handbag than a baby changing bag, so when you aren't using it to carry around baby paraphernalia it makes a beautiful every day bag. The bag has ample space for all of you and baby's belongings, inside it has two pockets and a small zip compartment for storing nappies, wipes and dummies and the rest of the bag is open and spacious for all your larger items such as toys and clothing. On either end of the outside of the bag It features two integrated, internal bottle pouches which are insulated, the fact that they are integrated so they can't be seen from the outside of the bag is a lovely feature. There is a large zip pocket across the front of the bag for all mummy things such as a pen holder, mirror, key fob, pouch pocket for a mobile and lots of space for other essentials. There is also a large pocket the entire length of the bag on the back, which is big enough for a laptop or tablet. The bag also comes with integrated stroller straps for easy fit over any buggy handle bars. It also comes with a lovely padded changing mat and wet zip bag. This bag is ideal for those who want a changing bag that does't look like a changing bag. It is fantastic value for money as you will continue to use it for years to come. We are definitely starting to see a real trend in backpack changing bags and it is no mystery as to why, not only are they much more practical and comfortable to carry than a shoulder bag but they looks great too. Combining effortless city style with hands-free convenience the Chelsea Backpack is a chic choice for mums who are looking for style and substance. The bag features multiple compartments, on the outside it has a large front zip pocket perfect for storing your wallet, make-up and any other essentials and on the flap it has a smaller pocket for easy access to your phone and keys. On the inside it has a large pocket for storing the changing pad which comes with the bag plus two smaller pockets for nappies and wipes, the rest of the internal compartment is nice and spacious for all your larger items such as clothing and toys. It also features two large insulated side bottle pockets. The bag has a top handle for carrying in one hand or for hooking on to the buggy, it also has two detachable stroller straps. One of the best things about this bag is that you will be able to continue using it well after your need for a baby changing bag. The super stylish Double Zip Satchel Changing Bag from Isoki is the perfect bag for Mums who love to have a place for everything! The Double Zip Satchel is not just a gorgeous bag but it is one of the most practical changing bags we have come across. With a total of 13 pockets, it holds everything you need for both you and baby. The bag is split into two main compartments which each unzip to reveal numerous pockets to hold nappies, clothes, toys, wipes and creams etc. One side has 4 large pockets plus a large internal space, the other side has two large pockets and two small pockets plus a large internal space. Both sections are lined with beautiful bespoke Isoki waterproof fabric and close with a zipper to keep contents safe. The outside front compartment is perfect for keeping all of mums essentials such as phone, wallet, keys and lipgloss tidy and organised. There is one large main pocket, one see-through mesh zip pocket and two smaller pockets. The bag also comes with co-ordinating accessories which include a zippered purse, perfect for storing small items, a wipe clean padded changing mat and a bottle carrier to keep baby’s milk cool or warm. There is also a detachable shoulder strap and stroller clips for attaching the bag to your buggy. 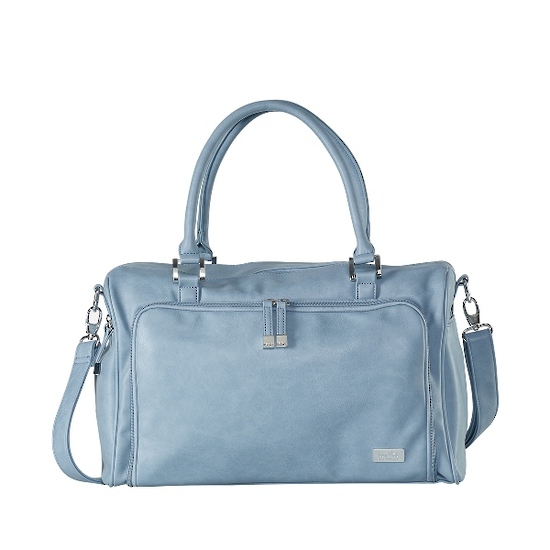 We really liked this practical changing bag from Silver Cross. It is an ideal unisex changing bag that will appeal to both mums and dads. It comes in a variety of colours that will match up to most brand of prams. This deceptively spacious changing bag is a really great buy and at just £45 it is really affordable. The bag has a whole host of pockets, including two exterior bottle pockets and an easily accesible smart phone pocket. There are plenty of large interior pockets for organising all your essentials as well as a large central space for larger items such as nappies, clothing and toys. There are two large pocket on the outside that span the whole length of the bag, which will securely store items such as a laptop or tablet. The bag also comes supplied with a padded changing mat, so changing baby on the move is simple and easy, plus there is a thermal bottle holder inside too, so you can keep baby's bottle warm or cold when out and about. 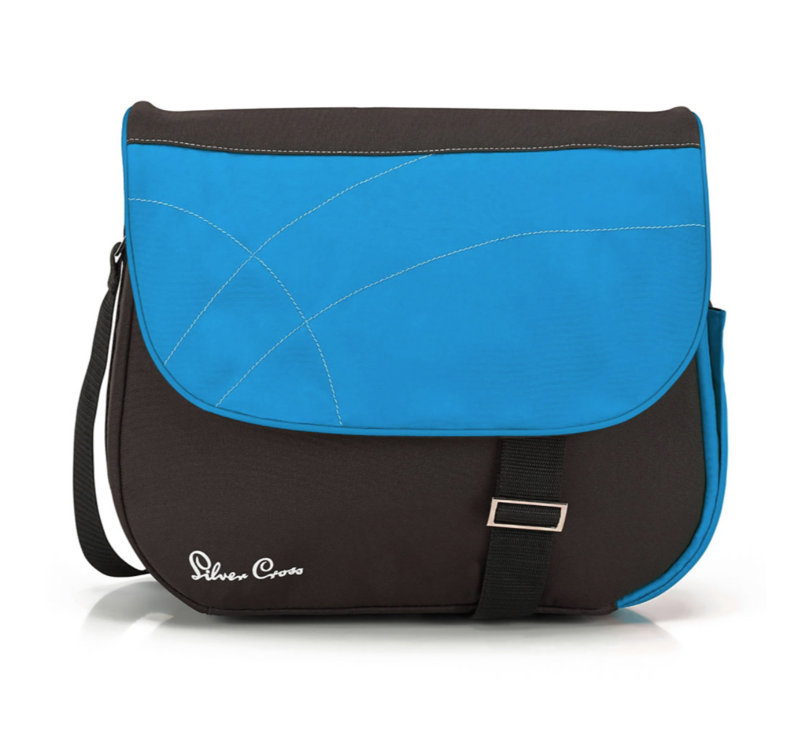 It has an adjustable shoulder strap so can be worn as a messenger bag or can be attached to the buggy. The fabric is really nice quality and it will all wipe clean so should stay looking smart for a long time. 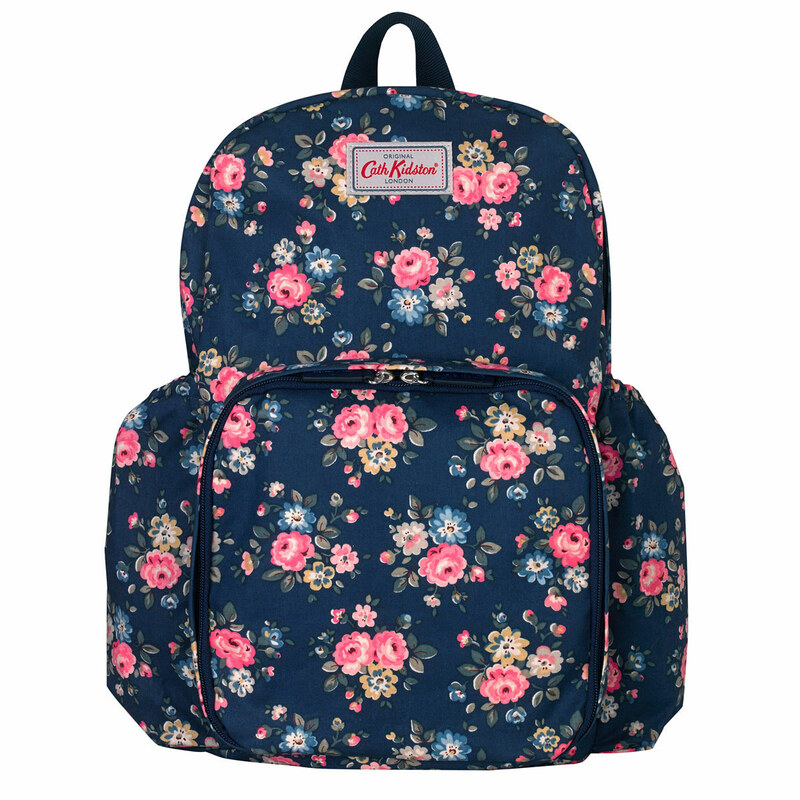 We love this simple backpack changing bag from Cath Kidston. 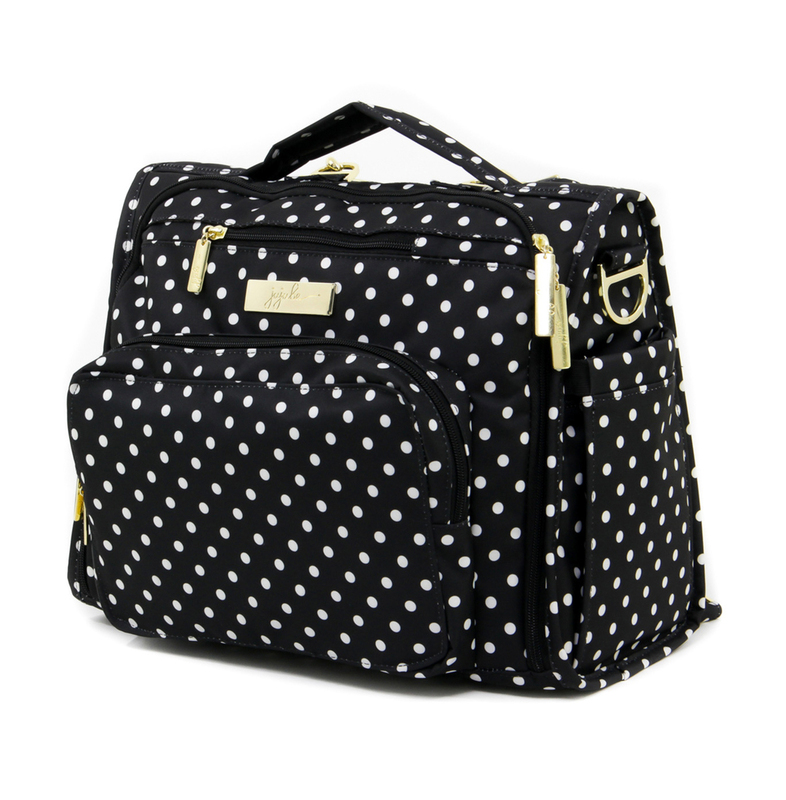 It is the perfect bag for busy mums on the go. The backpack style makes it really comfy to carry and it can definitely continue to be used once your need for a changing bag has passed. The bag features a large front changing pocket with a fold away changing mat and a mesh pocket for nappies and wipes. There is another large pocket on the back that is big enough for a tablet or laptop. Inside there is one small zip pocket and a large pouch where you can keep all your smaller bits and pieces, the rest of the compartment is free for larger items such as spare clothing and toys. The bag also comes with a removable zip bag which is perfect for storing small items such as nappy cream, medicines or snacks. There are also bottle holders on either side of the bag. As well as being worn as a backpack it can also be attached to a buggy with the integrated stroller strap. This is the ultimate changing bags for dads. So many changing bags out there are focussed entirely on mums needs and desires but what about the dads. Most men don't want to be carrying around a girly changing bag when they are out and about with the baby but there don't seem t one many bags on the market that will appeal to the dads, until now. The newly designed Stokke Changing Bag comes in 8 neutral colours and can be worn as a shoulder bag or backpack. it can also be attached to a stroller with the integrated D rings. The bag has ample storage, it features a large pocket on the front which is big enough for a mobile phone and tablet, it has another large pocket on the back for anything you may want quick access to such as snacks or a dummy. It also has a subtle compartment on the back which stores the padded changing mat that comes with the bag. There are two insulated bottle holders on either side of the bag. Now for the inside, there are two large pockets for storing nappies and wipes and a large mesh pocket which lets you see everything inside, there are also two elasticated bottle holders to hold additional bottle holders on place. One of the features we love is the large detachable pocket where you could store clean clothes or perhaps dirty clothes. There is also plenty of space in the main compartment for large items such as clothes and toys. This bag ticks all the boxes and will be be a winner with both mums and dads.